Casino games are nothing new. The first slot machine was spun over a hundred years ago, and rumour has it that roulette and blackjack have been played since the 17th century. But whilst the types of casino games we play remain the same, the way we play them has changed dramatically over time. This is all thanks to cool innovations in casino tech. These days, technology allows you to get the real casino experience delivered straight to your PC or smartphone. 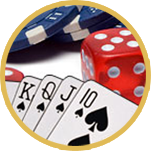 Take on real dealers by streaming blackjack and roulette through live platforms at online casinos like bgo.com. Or snap on a funky headset and immerse yourself in hundreds of new VR slots and table games. Expect to find plenty of bonus features developed for modern online slots too. Take the Avalanche Reels on show in NetEnt’s Gonzo’s Quest for instance. This sees successful tumble from the reels, freeing up space for new symbols and another win from the same spin. Early slot players could only dream of such a thing. And don’t think cool tech innovations are only improving the casino world online. Big changes are also happening in land-based casinos. Recent years have seen a rise in facial tracking systems, which use sophisticated technology to stop card counters and banned players sneaking back inside casinos. Find out more about the coolest casino tech innovations below.